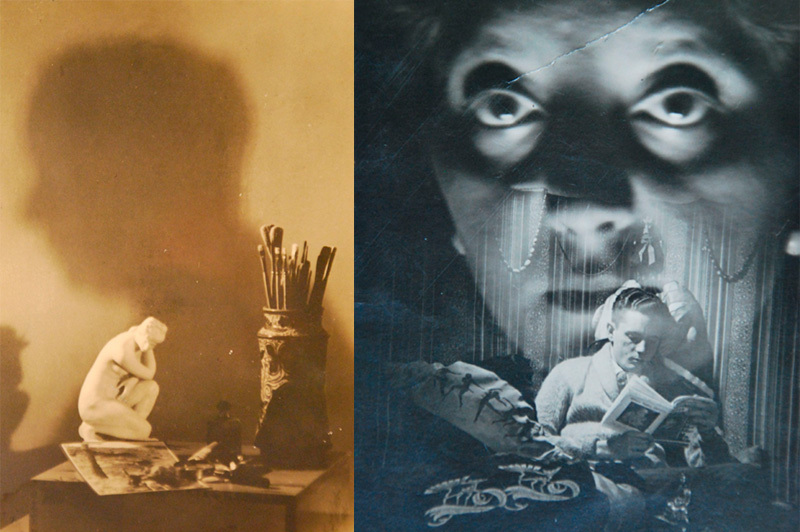 Spanish photographer which most of his work is included in the avant-garde period. Nowadays a catalog of his photography archive is being prepared by his great granddaughter. There are works of Vicente Martínez Sanz in the Navarra Museum and the IVAM. 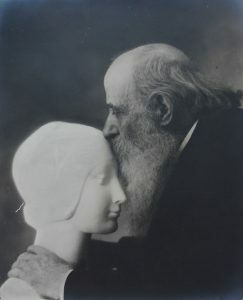 It is important to emphasize, as the Mapfre Foundation said on its web about his biographical details, there is an important date in Vicente Martinez Sanz’s life without doubt: 1916, with the opening of his photography studio where he was going to devote his time to one of his great passions: experimentation of the different photographic techniques. His best effort was dedicated to the research for a technique with a new artistic language: a new aesthetic approach. In this line, Vicente Martínez Sanz has his own artistic path, with foreign influences, that one can see throughout his work. There is an artistic expression in his photographic frame and his unique use of light. 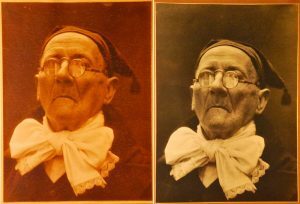 In his photographs there are common points with other creative arts, such as painting, in his unique use of light and the perspective. In this social context, both disciplines work on similar themes where the similar artistic aspects come out. Put his differences aside, Vicente Martinez Sanz had a sould of painter. He studied in the fine Arts Academy of San Carlos (Valencia) with a previous pathway as a painter which influence some of his work as a photographer. From this perspective, he had been classified into a Pictoralism movement with different photographic proposals trying to get closer to the painting. Although this idea is part of his work there are much of his work focussed in other aspects drawing away from that movement. Finding several points in common with Pictoralism in some of his works, his focus are on: ordering the picture elements trying to reach perfection , the type of the composition, the attitude of his human models and his complements, especially the treatment of the light, and the moment of making an effort to take a picture. The influence of the paintings is illustrated describing the nature and in his artistic works. The division of the space, the light, the sense of composition and the portraits bring to mind classic and contemporary painters such as Rembrandt, Veermer, Hals, Sorolla, Zurbarán, Agrasot, Miró, Klee and Solana, and they also represent contemporary photographers such as Man Ray and Atget that were important for him. He was a photographer who worked with spatial divisions and frames showing amazing panoramic shots, high and low angles. His works sometimes required photographic retouching with a strict respect to the background version. It resorts to the different blueprints using objects such as trees, silhouette and constructions. He knew that the photographic image could deeping down and flatten the real distance. Likewise, it is necessary to stand out in his work elements and photographic techniques itself with his own language. At the same time, he was in touch with avant-garde movements. His works evoke the contest of avant-garde which was emerging in Europe at this date, revealing an artist constantly alert to what was taking place around him. The Surrealism, with a oneiric aspect in his representation a dali’s environment that he can evoke in his vintage copy such as View one of his most famous photo, portrait in the Shadow, Dog light and me, among others. In a parallel effort, the search for greater visual richness in his snapshot. From the differences of textures, surfaces, with different techniques of developing and printing. This constitutes artistic contributions through his camera. Therefore, in his works set out a clearer distinction between the European pictorialism and the Spanish artistic photography. From that point, Asunción Domeño Martínez de Morentín in his paper titled “Pictorialism and The Spanish artistic photography”, She already foresees the need to change the aesthetic concept of the pictorialism in the case of spanish art photographers at that time. Indeed, it is necessary in Vicente Martínez Sanz’s works, we have to go over the aesthetic concept from the study of his work. We cannot pigeonhole him inside the Pictorialist movement, because he has a greater range of works which represents that he is an artistic photographer. Besides, it is also important to stand out the mastery of different photographic techniques and depth of field display function and foreground and background photo and the special progression. From different perspective and angles capturing physical expressions of emotions, gathering truth through the emotions, as part of his photographic technique. However, he shows slightly blurred in some of his photos showed the influence of pictoriaslim in a personal way without snooty manners such as many of his contemporaries did. The argument has a crucial importance in Vicente Martínez Sanz’works, with a uphold to a photographic scenery. In addition to prove it, the photos of the traditional rural landscape and the villagers working on their daily tasks. Assessment and appreciation for nature, the artistic possibilities of expression and the type of procedure required (composition and treatment of light, dividing the room and space into thirds, sense of perspective), are particularly important. Working with study people as a models. Tearing poses, penetrating gaze, completely new in those days. Without doubt, in Martinez Sanz there are formal proposals that affect the order of the images and the different elements involved, and a photo development with the intervention of the author taking away the content. 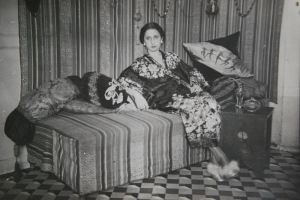 Vicente Martínez Sanz had his own vision further his contemporaries, closer to avant-garde movement that we can appreciate in his photo-montage and influence of oriental art and in the use of the objects in his photos and avant-garde language. 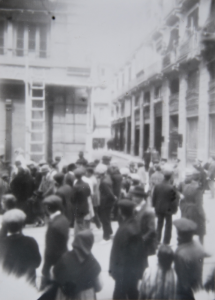 At the same time, in his works stand out photos of the urban landscape of Valencia in the twenties. There is a stamp of personal originality and also Atget’s works hold on him. Committed to everything around him, some photos with documentary component related to photojournalism in the urban areas. In this regard, other thematic areas of this author is the compromise with the villages, peasant of the rural in the Mediterranean area. There are many photos showing rural reality of his time. He tries to show their daily routines in a natural way. Then, you can consider him an unclassifiable author. 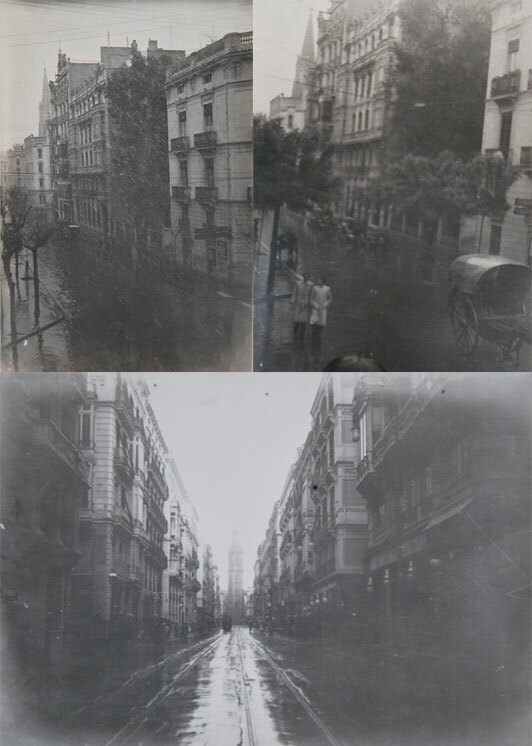 There are photos clearly documentarian that showed the reality (photos with street disturbances during dictatorship of Primo de Rivera), photos of urban landscape showing the poetic lyrism of the loneliness. Surreal Landscape mysterious and evocative, his photomontages proved his knowledge of the avant garde movements. 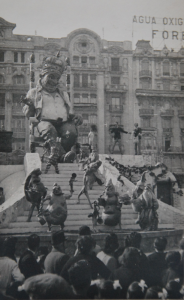 He took photos of Spanish traditions and customs such as, las Fallas as a social affair. He tried to show through unknow characters different way of expressing emotions in a genuine form. Vicente Martínez Sanz in a full experimentation in a transition between 20 and 30. We can define him as an artistic photographer. The influence of artists such as Paul Klee we can also see in the photo titled; flying, four photos of an athlete on live. Trying to go beyond in a methaphysic form. 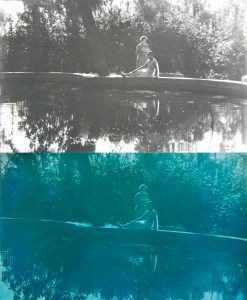 Besides, In the ascendant angel we can appreciate the experimentation as well in the techniques and the themes of his photos. He builds a world towards something new. 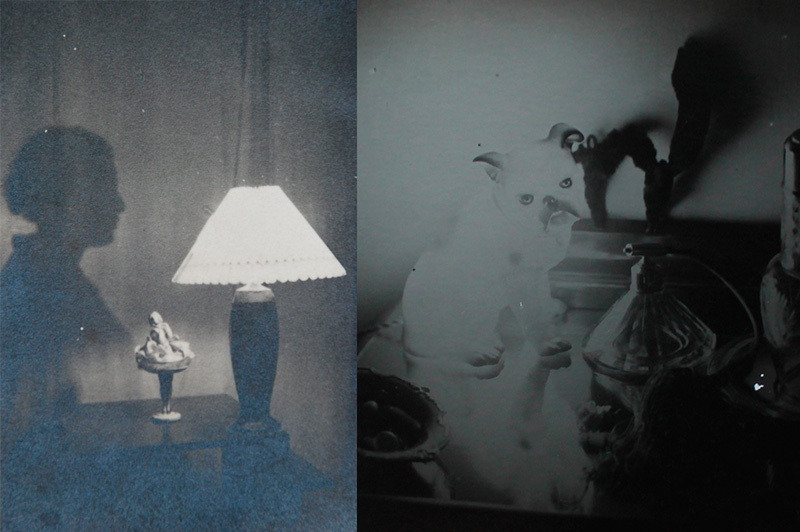 Lamps, light dog, sculptures, everyday objects, vases, still-life, part of his most intimate aspect. We can surrealist approaches, part of a need in deep spiritual sensitivity. This objects turn into artistic objects. The aesthetic emotion permeating his work, in fact one of his work was titled: aesthetic emotion. One of his daughter used to say after his wife’s death he found a mistress expensive: the photography. He creates a special atmosphere for working and represents the contrast of light and shadows, sculptures, still life, paintbrushes, oriental clothing found at random. And we have to say that they were also in his studio or it was part of his life. The colocation of the objects it was weird and inconsistency a way doing on purpose, with logical relation to each other a disorientation reflexive in a surrealist way, far example dog light the beauty of the everyday use. The relationships of the author with the human nature, the spontaneity in his works is very important. There are photos that show urban landscape from another perspective in live. Street with only architecture and streets clean almost everything relating to artist such as G. de Chirico and Atget. 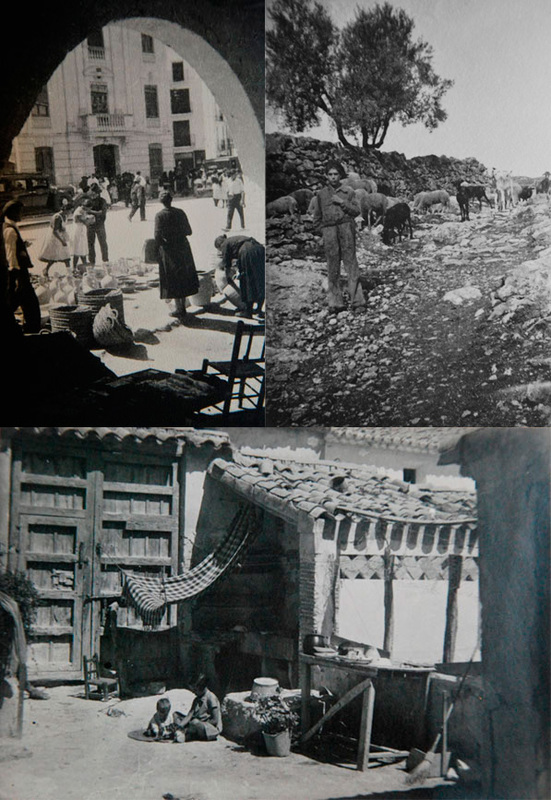 To sum up, these images represent what Vicente Martínez Sanz is, a mixture of historian and poet, entering deeper into a lyricism.